Such is the demand for top Bordeaux from great years that the best wines from the two previous outstanding vintages, 2000 and 2005, have gone up substantially in value, despite the economic downturn. Here are my answers to 20 questions about the much-hyped 2009s. 1. Is Bordeaux 2009 ‘the vintage of a lifetime’? I hope so, because we lost 80% of our crop in two hailstorms in May 2009. Apart from this minor detail, the weather was brilliant, all the way through to the end of the harvest in mid-October. I suppose that makes me well qualified to say, after watching the weather and tasting wines ‘En Primeur’ for ten years here, I have never witnessed such superb conditions for the harvest in Bordeaux and sampled so many outstanding young wines the following Spring. Many leading Châteaux have made their greatest ever wines, especially on the Left Bank. That doesn’t mean to say you should buy the wines, if prices are too high. Fortunately, outside a relatively small circle of estates that could sell their 2009 production several times over regardless of price, there are many outstanding wines that are worth buying in 2009. 2. Which areas or Appellations made the best wines? The successes far outweigh the disappointments. As I stated before, there are many brilliant wines from Pauillac, St-Estephe, and St-Julien, as well as from Pomerol on the Right Bank. The top wines of St-Emilion are lovely but it’s a huge area and by virtue of its size and differing styles, it’s a mixed bag. Some outstanding reds from Pessac-Léognan too, and for value, there are some delicious wines from Margaux and the Haut-Médoc for the right sort of money. Many properties on the Left Bank, notably in Listrac, Moulis and the northern Médoc have made excellent, less expensive wines. As a generalisation, I would opt for the Cabernet Sauvignon-dominated wines of the Left Bank, or the Cabernet/Merlot blends, rather than the Merlot powerhouses of the Right Bank, except for the better Pomerols and a few top wines from St-Emilion. (This comes from someone who grows mostly Merlot, by the way.) I could be wrong about this, so I look forward to re-assessing all the wines once they have been bottled by next Autumn. 3. Which are the top red wines? Here’s a handy alphabetical list of my Top 200. Or view the Top 130 in descending order here. Robert Parker’s scores – which are the highest ever – are by far the most influential, and I have compared his scores with mine. We both score out of 100, whereas Jancis Robinson, the UK’s most respected critic whose scores are also included, rates wines out of 20. I tasted all the top wines except Château Ausone and several ‘garage’ or boutique wines from St-Emilion, Le Gay and Le Bon Pasteur in Pomerol, and a few unclassified wines in the Médoc. In the lists, I’ve noted R for Recommended, subject to price. Many will be oversubscribed and it’s worth reserving or pre-ordering some now. And v = Value. 4. Is 2009 a great white wine vintage too? It’s an excellent vintage for the sweet wines of Sauternes but I don’t subscribe to the commonly held view that it’s a ‘best ever’ vintage there. The wines are delicious but very sweet (high in residual sugar) and a bit one-dimensional, with the exception of d’Yquem (right), Climens and Rieussec. 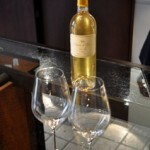 Prices for most Sauternes have been released and many have been put up, so much so that it seems daft to pay 50% more for a 2009 in barrel than an equally good 2007 in bottle from the same property. It’s noticeable that most 2009 wines are still available after a month on the market. Some producers, however, deserve credit for showing more restraint. Some very good dry whites too, not truly outstanding – actually, not unlike 2005, a brilliant red vintage and very good for both sweet and dry white – but it’s not a vintage of the decade for dry whites. Here are my scores for the dry and sweet white wines I tasted in March and April. 5. When do the top wines go on the market? Some opening prices have been announced in May and the rest – 90% of the top wines – will be released in June 2010, after Vinexpo Asia this week. Of course, we should be mindful of the fact that the Château owners are pricing their wines after the critics have tasted the wines and had their say, most notably Robert Parker. Their target price will be what the market will bear. 6. When a price comes out, how do I know if a wine’s worth buying? 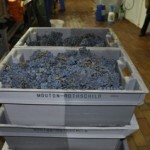 Follow me on Twitter (http://twitter.com/GavinQuinney), for my ‘Deal or No Deal’ tips on most wines. Wines in high demand will be allocated, so they must be pre-ordered. See the R for Recommended wines from my A-Z list. 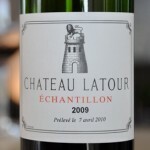 A tweet saying ‘Buy Lafite at the opening price’ is worthless but it’s not all about the First Growths. My recommendations are based on quality and potential, the value in relation to previous vintages (something that’s often overlooked in the sales blurb), scarcity and the potential value later. One recommendation might be for drinking, eg, under £250 a case, another for drinking/investment – for example, a top Pomerol for £1000+ like Vieux Château Certan (left). 7. Should I compare the prices with other vintages? The most useful comparison for the 2009 price is probably the current 2005 price. Farr Vintners have a useful list of the wines with the 2005 price. Comparisons in % terms with the preceding vintage are almost irrelevant, just as it was with the 2000s and 2005s. 8. Will the wines cost more than the 2005s did En Primeur? En Primeur prices in pounds will already be 25% higher for the 2009s over the 2005s, on account of the slide of sterling since 2006, but that’s not so for buyers with dollars. 9. Which wines won’t cost thousands of pounds per case? Some prices will be in the stratosphere: the First Growths will be at one level, then next in line are the other 17 wines with a potential 100 point score from Robert Parker. The next level comprises the wines with a probable 95+ RP points. 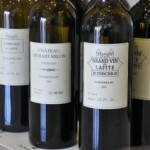 The Lafite wines (Lafite-Rothschild, Carruades de Lafite and Duhart Milon, pictured right) are in a pricing bubble of their own, since Lafite has become the most sought-after name in China. Thankfully, there are over 100 outstanding wines outside these inflated price groups. Again, check my A-Z list of the Top 200. 10. What should I look for a couple of hundred pounds per case? Lower to Mid-priced Left Bank wines with good ratings, which are not overpriced compared to 2005, are a good hunting ground for wine lovers who actually want to drink the stuff, but who want a wine to hold its value. Château du Tertre 2009, for example, at £260 a case: RP 90-92, GQ 90-91, Jancis 17.5/20: Berry Bros sold out of 600 cases on the morning of release (after my tweet, obviously). 11. What’s the minimum spend? En Primeur wines start at about £90 a case ‘In Bond’, i.e. before duty and VAT, and count on anything below £200 being for drinking, not investment. See Q13 below. 12. When do I need to order? 13. When will the wines be delivered? 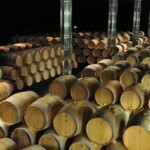 The wines are still in barrel and will be bottled at the Châteaux sometime from May to September 2011, and shipped and delivered in early to mid-2012. If you plan to store the wine at home or in ‘Duty Paid’ cellars such as at The Wine Society, you should budget for the UK duty and VAT in 2012: currently it’s £20.25 duty per case, plus VAT (probably 20%) on both the duty and the wine, so the second part of the bill could be steep. 14. Who do I buy from? Refer to my list of premier UK merchants. Only buy from reliable sources, not from cowboys. You’ll have to pay a merchant up front now, the merchant will pay a middleman in Bordeaux a bit later, then the Bordeaux middleman will pay the château later still. Delivery isn’t for two years, so it’s perfect for fraudsters. 15. Should I buy from one wine merchant? Maybe, but do shop around online for price and especially availability, as most wines are sold on the open market. This keeps margins tight – a good thing for the consumer, I reckon. But don’t ignore the small print: some merchants will charge later on for delivery and some, like The Sunday Times Wine Club, even for shipping to the UK. 16. How much do wines cost for investment? Wines suitable for investment start as low as £250 a case, if you strike gold, but usually much more. You should plan to keep the cases ‘In Bond’ and the physical cost of storing wine has an impact on returns. You don’t need to worry about arranging that now, but you should know that storage costs in commercial cellars like Octavian, London City Bond or Vinotheque, which are the HMRC regulated Bonded warehouses used by many merchants, are around £8 per case per year. That’s 4% per annum on a £200 case, or 1% on a case that costs £800. 17. Why pay to store the wine ‘in Bond’? Wine stored ‘In Bond’ can be sold later – still under Bond – so you do not pay duty and Vat, with the added benefit is that wine is exempt from capital gains since it is classed as a ‘wasting’ asset. Having the wine delivered to your home can reduce its value, as provenance is key, and you won’t recover the duty and VAT you paid. If you are sure to drink it, this is not an issue, so pay the duty and Vat and keep it at home as long as you have good, cool storage. 18. Can I store my wine with different merchants? Yes, but it’ll be best to consolidate your purchases under one roof, which a good merchant or specialist outfit can arrange – maybe for a fee, so it’s worth checking terms. Most merchants will deliver free to your chosen Bond, so you can buy from different sources but have the wines stored in one place. I used to have wines dotted around all over the place, which was a costly mistake. Make sure that you are covered for insurance at replacement value, and that the wine is stored in your name, not just the merchant’s. 19. How quickly can the wine go up in value? That’s a tricky one. Some pundits say 5 to 10 years, but good returns can be achieved before that. Even in late May 2010, a 2009 Bordeaux released at £400 to the UK merchants, was changing hands for £700+ within a few days, but this is rare. In general, the next big potential price movement will be in two years, once the 2009s have been re-evaluated and scored from the bottle. You should plan for a minimum of 5 years, both from a drinking and investment perspective. Unless, of course, the Chinese go mad for a particular wine in the meantime, as with Château Lafite and Carruades de Lafite in the last few years. It will be tricky to make ‘a turn’ before you start paying storage fees from 2012 onwards for the 2009s, but it’s certainly possible. This is not a recommended strategy. Do buy Magnums or bigger formats of red wines, if possible. 2009 is a Magnum vintage. They may take longer to mature than in bottle, but many wines from 2009 will be sublime in magnum and bigger bottles – and not just the expensive stuff. For sweet wines, halves can be practical. Merchants have different rules about ordering larger or smaller bottles, so do check. 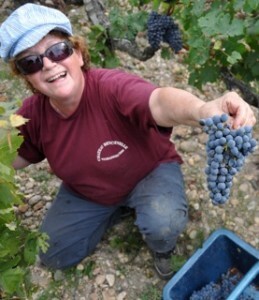 Finally, I’d be wary of cheaper, unclassified St-Emilions, Côtes de Bordeaux or Bordeaux Supérieurs unless you know that the vineyards were not damaged by hail last May. A sixth of the surface area of Bordeaux was affected, which also included parts of the Graves and Margaux. Many growers had to buy in grapes from other (lesser?) vineyards, often on short-term lease arrangements. There was no hail at all in Pauillac, St-Julien, St-Estephe or Pomerol.